The Shimano yellow cleat was almost worn out and I tried using it with a red cleat. The floating angle is 0 degrees, so when I press the pedal, the force transmission is definitely better. I had to put some more force on my pedals when I was wearing or removing them. I felt more fatigue than when I used yellow cleat for long distance riding. 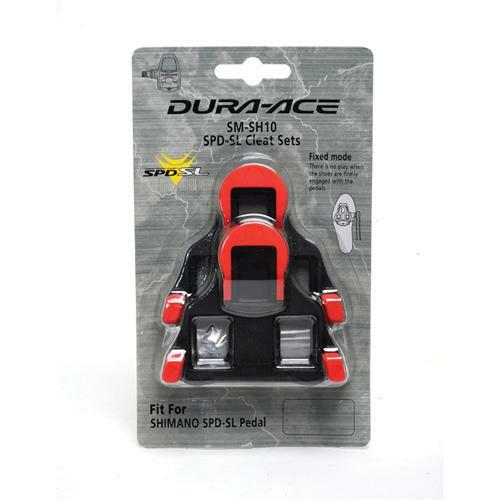 It is a Shimano product that I believe in and to use anyway. The cleats does its job but are quite expensive for what you get in my opinion. But Shimano is good quality like always. These pedals are much more comfortable than the float options, at least for my knees. Wide base provides great power transfer! Durable, easy to fit and align.